anyway cute outfit! Love the shoes! your sunglasses are amazing! i love this bright and sunny outfit :) have fun on your break! I really love your blog! You're so beautiful and cutee! you're so cute as always!!! >.< Keep posting! You are awesome! Your color combination is perfect and that style of clothing looks adorable on you! you're so cute veren! thanks for your lovely comment on my blog! will hit that follow button of yours within seconds and link you! SUCH a cute outfit! You have an amazing style! This outfit is just crazy cute! You exude incredible style. I love the whole outfit, but I think the shorts are the best-looking element of this whole outfit. The bright yellow colors are also lovely. You're like a stylish ray of sunshine, and your style beams brightly. 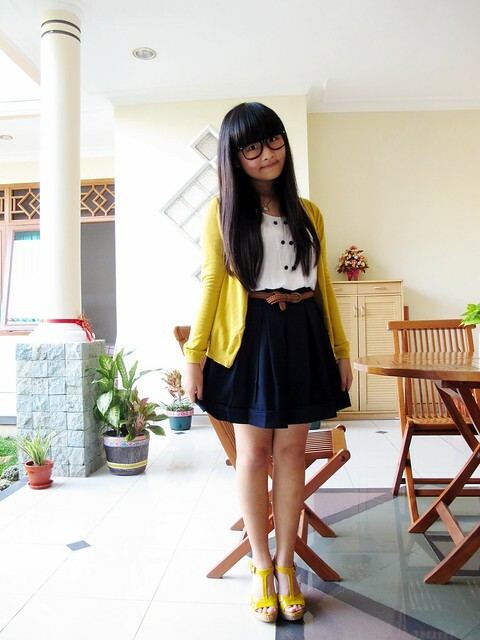 love your outfit, mustard yellow <3i am having a giveaway on my blog, that is perfect for spring&summer! a RAD BIKINI by a young Mexican designer! check it out, you wont be disappointed ♥ i promise! This outfit is so bright and amazing! I love everything about it. :) You are adorable! in love with mustard because of you ! hahaha :D.
the splashes o yellow are so cute. Love the outfit! Mustard is such a cute colour :) Looks good on you! OMG!!! you look soooo cute!!! this is a really cute look ! i love the sunnies so much ! I wanna follow yr blog, just wondering do you mind follow mine as well? when do i not say you're adorable? the outfit was cute and then suddenly i saw the picture with the sunglasses.. too cute on you!! Will u sell your closet worldwide? you looked superduper cute as always! !<3 yellow really suits you well ;) cute sunglasses! this is so cute:) I love ur sienna shorts a lot! I wear XS-M too so I'm waiting for it! omg!!!! u r sooo sooo sooo cute dear.. Your outfit is so cute! I'm so jealous that we're the same age, yet I feel that you dress a lot nicer than me, haha! very very adorable, dear! Love the yellow color! 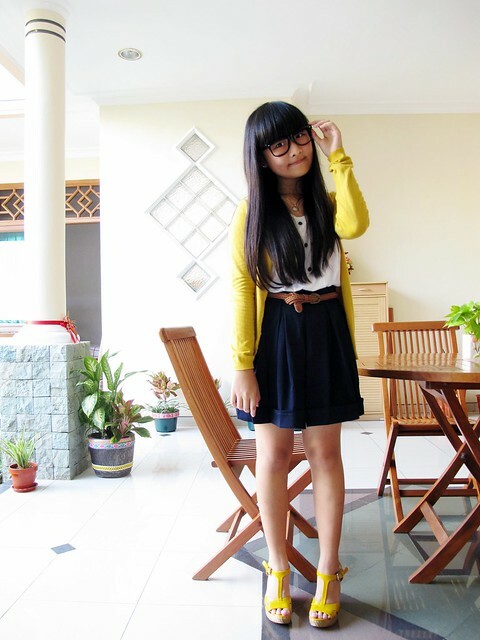 yellow is suits on you, veren :) i love the cardigan and skirt! and, i saw gogirl magz's tweet, you win the fashion tag, right? congratulation! awww the colors are so beautiful and summery darling! Super cute outfit!!! Love the yellow! oohh you are so cuuute ! Hello, i just gave you a Sunshine Award 2011, sorry if it's like a spam. I really pass it to you because i like your blog. Lovely outfit and to sell your clothes sounds like a good idea.